Burgh Brides has featured us on her blog! Wedding season is upon us! We’ve met some many wonderful women doing wedding hair! The brides, bridesmaids, their family and other wedding vendors are all great people! It’s so great to look at past brides who we’ve had the honor of helping on their wedding day! 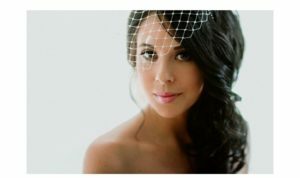 Harbor did this amazing wedding hair style for Brianne last year! I received an email from Victoria at Burgh Brides that she was showcasing Brianne’s wedding! Brianne’s entire wedding was so perfect and is worthy of sharing! I want to get married again so I can wear that wedding dress! 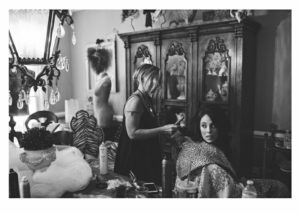 Most of the time hair and makeup are scheduled first thing on the wedding day and we go on our merry way. It’s always so exciting to see the photos of how the wedding comes together. The bride with hair and makeup and dress all together! Lots of planning and thoughts about the day and the pictures capture every detail! This is so pretty Victoria! She is the creator and driving force of #burghbrides. 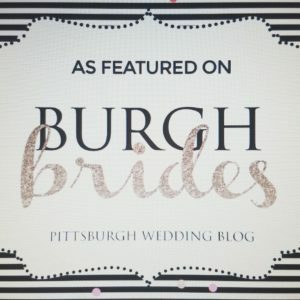 Burgh Brides is a Pittsburgh wedding blog. 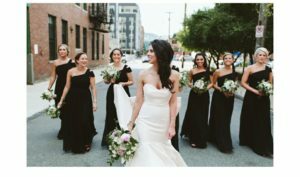 Victoria is the queen of all things beautiful about weddings and Pittsburgh! She shows unique wedding ideas for inspiration for other brides. She helps connect brides with local vendors. She gives lots of hints and tips for a gorgeous and stress free wedding. She knows everything from flowers to preparing the best bridal registry! Victoria has chosen one of our brides to showcase for your current blog post! Harbor had the pleasure of working with Brianne to create her amazing wedding hairstyle. Christina and Harbor styled the rest of Brianne’s bridal party the morning of the wedding. We’re looking forward to this year of beautiful weddings and meeting more fabulous people! Glop & Glam! We’re so excited to have a new line for our younger clients! Introducing Glop & Glam. It’s a salon professional hair product line focused for the next generation. It’s for our younger clients, your kids! It’s colorful and smells amazing! It’s concentrated, so it lasts a long time. It’s a natural and organic line. It’s been developed by a hairstylist, who is a mom! Glop & Glam is vegan and cruelty-free formulas are free from harmful chemicals and allergens like parabens, sulfates, alcohol, gluten, nuts and phthalates. -They containing natural lice preventative ingredients while maintaining the highest quality standards. Glop and Glam delivers safe and effective solutions for all hair types- curly to straight, coarse to fine, thick to thin! It’s a great way to teach your kids a healthy hygiene routine. It keeps lice away and has helped some kids with eczema! If they have any allergies or skin sensitivities this is the product for them. All of the products are colorful and smell amazing. Candy Apple Shampoo $16, Blueberry Clarifying Shampoo $16, Cake Batter Conditioner $16.50 and the Creamsicle Detangler $15 are the products with the lice preventative ingredients. They smell just like their names suggest! Andiroba and Melaleucca Alternifolia Leaf Oils as well as Quassi Amara Wood Extract are the ingredients mixed together that are an effective and worry-free way to keep the unwanted bugs away from your little ones. Prevention is way better than dealing with the little critters once they have them. There’s an array of styling products to choose from: Bubble Gum Glitter Gel $16, Banana Spike Molding Putty $16, Vanilla Creme $16 for flyaways, and Watermelon Hard Candy Gel $16, which is perfect for ballerina buns. If your kids have their own products they will stay away from your products that are meant sometimes for color treated hair and special treatments. They can learn that using a little bit goes a long way. The month of February we are offering buy 2 products get 1 free! Introducing Amika, our newest product line! Introducing Amika! This is a new product line for our salon. We are loving it! The fragrance, the way your hair feels and the packaging is all perfection! Amika is brand new for us! They are unlike any other product I’ve tried. They smell amazing! The electricians working in the space next to our salon actually stopped me to ask what the amazing smell was from! The shampoos and conditioners make your hair perfectly nourished and full of body. My hair is fine and can easily feel weighed down. With the first try of shampoo and conditioner my hair felt great for days! They’ve been around since 2007. They do not try to attain perfection with hair. They want your hair to be as individual as you while being super healthy. Their main focus is to deliver protection from heated styling products. https://loveamika.com Check out their website for a full list of products. Their number one best seller is their Perk Up Dry Shampoo. It’s very light and has their signature fragrance. The smell comes from Buckthorn Berry. It’s a super fruit and it’s included in most of the products. They also have Silken Up Dry Conditioner! It’s nice if your ends are super dry and great if your hair is curly and needs a little extra boost of moisture. Amika products are vegetarian-friendly, cruelty-free and free from sulfates, MIT, MCI, Phthalates and artificial colors. Amika never has and never will conduct animal testing. They test it on themselves, their friends, anyone and everyone we can get our hands on! They test on people, not animals. They have lots of blow-drying products to give you the biggest, long lasting blowout ever! The Wizard is fabulous! It gives just the right amount of shine and hold. It doesn’t feel like there is anything in your hair at all! We are offering buy 2 products and get one free! It’s a great way to try them! Or you come in for a blowout and try them. Our new salon will open on December 1st! 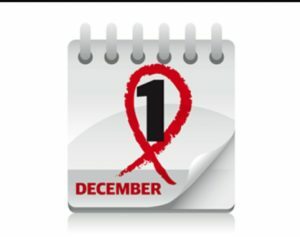 After waiting patiently, we will be ready to start doing hair on Friday, December 1st! Nova Place is an amazing development of businesses and restaurants. We are so happy to be included in their list of services. Check out our previous blog post, it explains the directions and parking. The salon will be almost twice the size of our current space! We’ve needed more room to spread out so we don’t keep bumping into each other! Not only will the salon be better but we are continually learning about new techniques and products so we can be better. We want to you to be thrilled with your hair, whether it’s a cut or some fancy balayaged ends! Framesi is our color line and their shades are truly beautiful. The shine and condition of the hair is remarkable. The CHI color line is our non ammonia color and is best for people who are sensitive to other color lines. We will soon be introducing a new product line of hair care that you can take home! We are also expanding our existing lines so there will be choices for everyone! We are planning a grand opening cocktail party on Thursday, December 7th! It’s from 4-8pm. We’ll have some wine, food, guitar music from Ben Sherman and lots of samples and free gifts! We are so excited to open the new salon, we can’t wait to show everyone. Don’t forget! We open December 1st in our new location. Keep checking Facebook and our Website for other news. Our phone number will be the same 412 471 9122. Please call or email us if you have any questions! You may have heard us talking about relocating the salon. 🙂 Well…it’s finally happening! I’ve been in our current location for a long, long time, it’s been so hard to think about leaving. But now, the salon has grown so much over the past 2 years that we are in need of more room and the salon could use a makeover! I’m thrilled that we are able to expand and be included in such a growing part of the city. 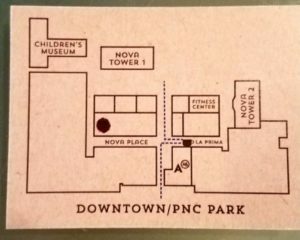 The above map I took from one of our new neighbors La Prima Espresso Co. https://laprima.com/ They are inside NOVA Place and have the best coffee ever! This map is on their business card and shows the layout of the area. We are the larger dot on the left or west side of the map. Thank you to La Prima for the map! Let me tell you a few things about where we are going. NOVA Place is on the North Shore. It used to be Allegheny Center Mall. Old and new companies are thriving in this setting. We are thrilled to be included in such a vibrant community. It will be great to be in such a busy place where people live and work. Even though we are relocating, our phone number will be the same. 412 471 9122. As soon as we have a confirmed date, we will start posting that everywhere! Many things have to happen still in order for us to be ready for business. We’re keeping our fingers crossed that it will be before the end of the year. I’ve been patient for this long, I can wait a little longer if we need to. NOVA Place is a large rectangle building and is divided into the West Side, Center and East Side. The salon is on the West side of the bldg outside near the Children’s Museum and Aviary. There are 3 levels of parking available under the bldg. There are Visitor Entrances on our 4 sides of the bldg. The 4 sides are S Commons, E Commons, N Commons and W Commons. Now it is a one way street all the way around. Eventually it will be 2 way traffic with a bike lane. There are more parking spaces added around the square on the street. The salon is on the Plaza Level, West side. The elevators are in the middle or Central part of the parking levels. Take the elevator up to the Plaza level and turn left toward PNC Bank. Walk all the way to PNC Bank and exit the bldg on the right. The salon is just outside these doors. You can access the salon from the outside as well if you happen to park on the street. The street parking is $1 per hour and free after 6pm. Children’s Way is a side street within the square and leads to the Children’s Museum. That street has a set of stairs that lead right up to the salon. We’ll have more info to come as the opening gets closer! 🙂 We hope to see you in our new, beautiful salon!